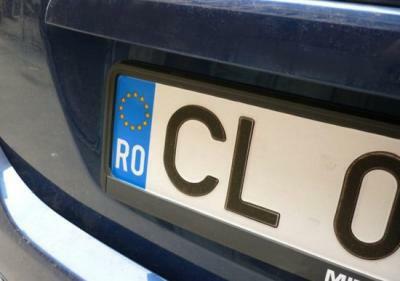 MILAN – A newly introduced government crackdown on the use foreign number plates to avoid fines has already led to the identification of a vehicle with a Romanian license plate on an Italian car in Milan, Il Fatto Quotidiano reports. The owner of the vehicle in question has been given a preliminary fine of 712 euros, which could reach as much as 2,848 euros, and has six months to properly register the vehicle before it is confiscated by authorities. The new regulations, introduced to combat fine and tax avoidance on vehicles, have not been received well in Italy’s Romanian community, Il Fatto reports. A number of dubious Romanian companies have allegedly been found to have either provided Italian cars with foreign license plates, just like the vehicle found in Milan, or loaned Romanian cars to Italian residents. The Romanian ambassador to Italy reportedly even requested meetings with the Interior and Transport Ministries in an attempt to alleviate the effect of the crackdown on the community in Italy. The legislation, referred to as the ‘712 sanction,’ prohibits the use of a vehicle with a foreign license plate if the owner is a resident in Italy for more than 60 days, save for a few limited exceptions.